Like its Cyber Hub outlet, the detailing in the décor of the restaurant is awe-inspiring. 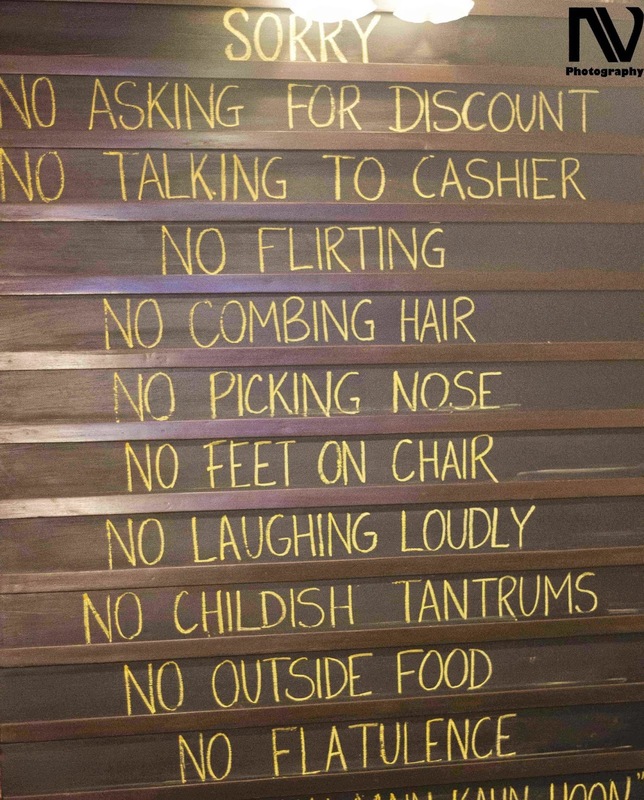 Sprawling over two floors, SBOW Khan Market has a colorful ambience but retains all flavour of an Irani Cafe with old fashioned typewriters, telephones, a barber shop chair and other accessories. On one of the corners, they have traced the birth of Rustom SodaBottleOpenerWala while some other corners list the specials of the day and the rules which are to be followed inside the restaurant. There is even a miniature toy train which chugs eternally overhead similar to the one at their CyberHub outlet. 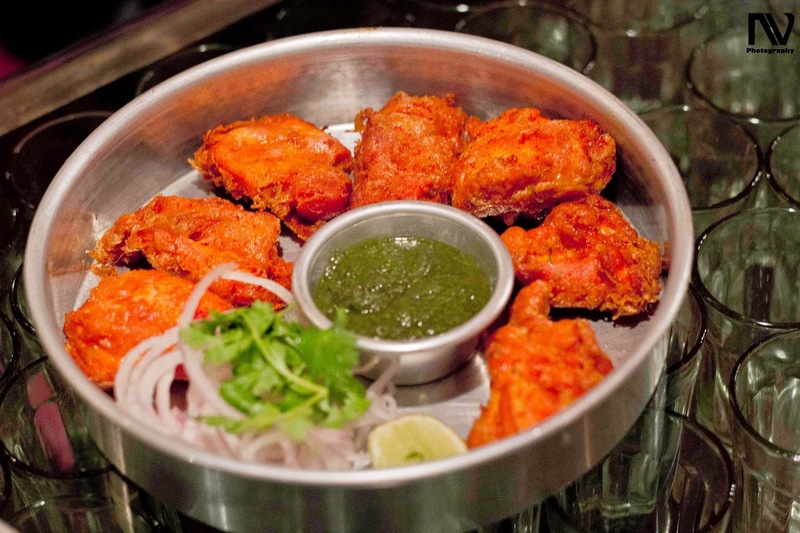 We started with Mumbai’s street food delights – Chicken Baida Roti and Vada Pav. 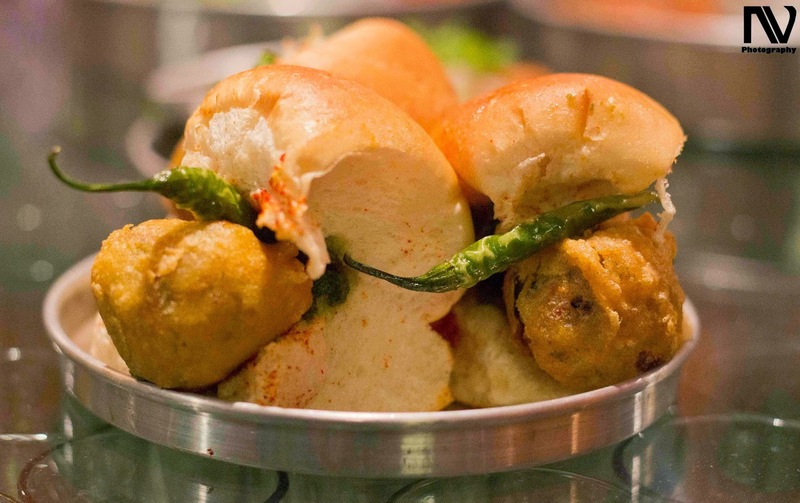 One of the humblest of the dishes, the vada pav is a sandwich of a batata vada inside bun, served with green chillies. The vada had a nice flavor of mustard seeds which made it extremely delicious. The Chicken Baida Roti is the Parsi version of the Mughlai Parantha, with a rich and spicy chicken stuffing inside. With every dish, SBOW serves its unique green leeli chutney, which is a Parsi specialty, made of coriander, mint, ginger and green chillies. The SBOW leeli chutney lacks the coconut element but goes with almost any kebab, bringing in a more minty rather than a hot and sour taste. 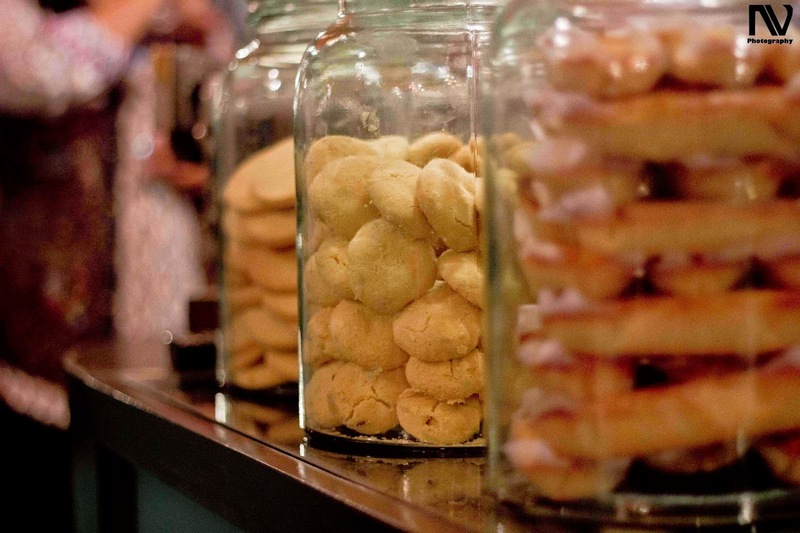 The Tareli Machhi and Marghi Na Farcha make up the fried appetisers in the Parsi cuisine. 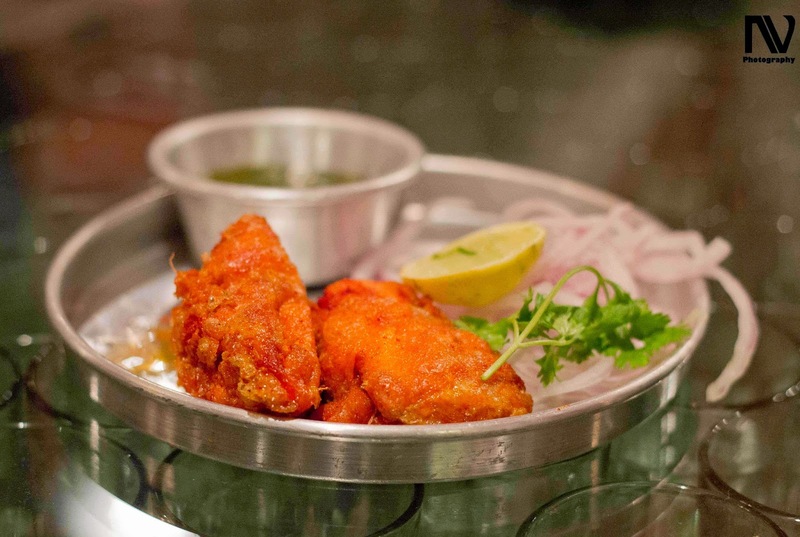 While Machhi is a clear indication that the dish is based on fish, Marghi is the Parsi term for chicken. The meat is fried in red spicy coating and then served with leeli chutney and onions. The taste is so good that it would even put KFC to shame !! 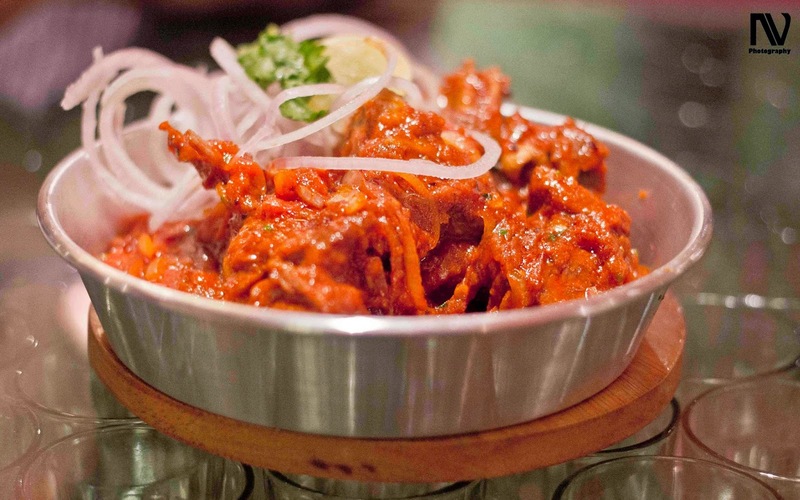 Although initially, SBOW didn't serve the Mutton Dhansak which is one of the main Parsi dishes, the new menu saw it feature into one of the restaurant's specialities. The Mutton Dhansak is made by cooking goat meat along with a mix of four different variety of lentils (Arhar, Bengal Gram and Masoor being the usual choices) and vegetables. Usually eaten with rice, the grainy feel of the dal in mutton makes it similar to the feeling when eating Dal Gosht. 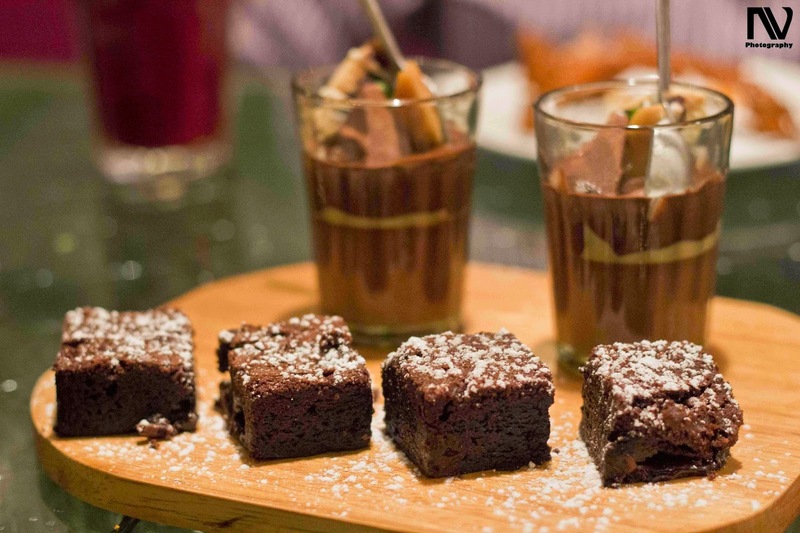 For desserts, we were served the Toblerone Mousse and 5-Star Brownie. While these are not authentic Parsi desserts like the Lagan nu Custard, the rich taste of chocolate gives an odd sense of satisfaction after a heavy meal. The Toblerone Mousse was definitely a hit as people all around were helping themselves to a second serving but the star for me was the brownie, which though sweet had a bitter cocoa taste. The Soda Bottle Opener Wala at Khan Market, though smaller than the Cyber City outlet remains extremely warm with the staff trying their best to make you feel at home.